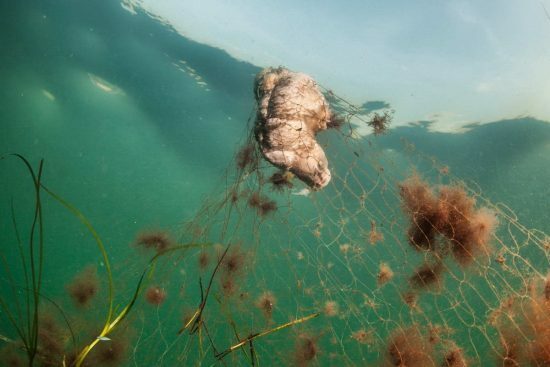 Just before off Warnemünde divers on behalf of the WWF on 7 August 2018 salvaged a ghost net, which has continued to “kill” marine life. 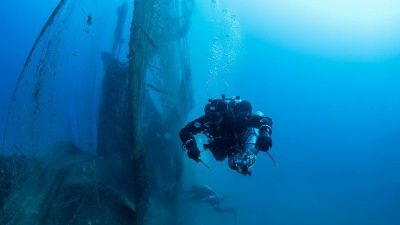 The salvaged net is almost 500 meters long. 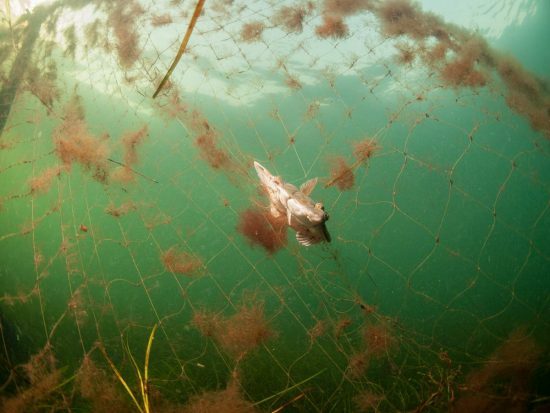 Free floating ghost nets are a death-trap not only for fish but also for seabirds, seals and porpoises. In addition, at least one-tenth of the world's plastic garbage in the sea consists of lost fishing gear. "The ghost net was still partially upright on the seabed up to the surface, so that fish and sea birds have been caught in it. 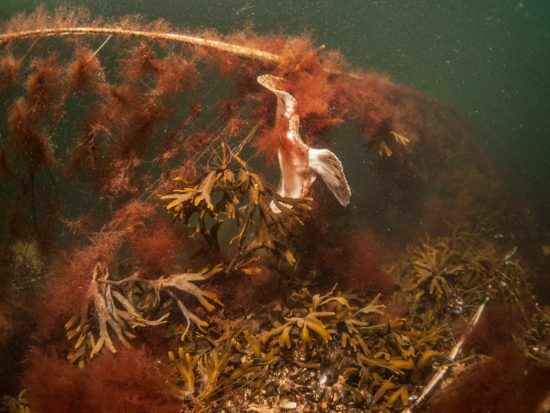 On the exploration dive before the salvage, divers saw 60-70 fish carcasses and two strangled cormorants hanging in it," explains Andrea Stolte, project manager for ghost nets at the WWF in Stralsund. Especially plaice, flounder, turbot but also some cod had caught in the net. 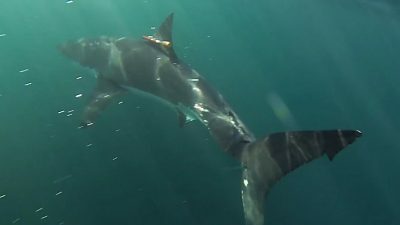 "We wanted to get it out of the water as soon as possible." Fortunately, the team quickly got a “go” from the Environmental Protection Agency in Rostock and the conservation of historical heritage for a quick recovery. However, the proper disposal of heavily contaminated ghost nets is currently difficult. "Ports lack the ability to separate recyclables from organic material. The lead from the sinker is a high quality, but toxic recyclable material that can otherwise be recycled without any problems," explains Stolte. Professional fishermen are obliged to mark their nets. However, the ghost net caught was there for a long time and was not marked with buoys or flags. "To put a net without marking is illegal. Especially such findings show how important it is to enforce the labeling obligation for gillnets", demands Stolte. It is possible that marker buoys break off and the net starts drifting in the sea. Therefore, markers should be developed that facilitate finding and assigning nets. The WWF sends many thanks to the tipster. 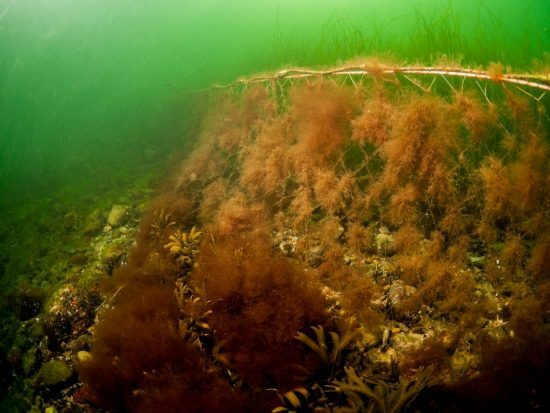 "An employee of the University of Rostock discovered the ghost net while snorkeling in the Baltic Sea and pointed out the position. 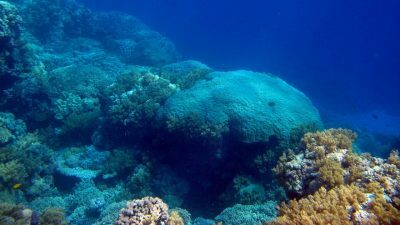 Detecting lost nets is difficult, so we are very grateful for such reports." 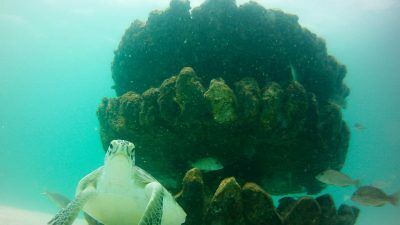 The WWF is planning an app for 2019, with which divers, snorkelers or other experts can report sites of individual ghost nets to the WWF. Until then, you can send hints on ghost nets to the WWF via mail: ghostnetwork -at- wwf.de.